If anything at all, isn’t it meant to be a piercing point here Jesus makes by way of parable, by way of a man, of a merchant, of a pearl? We read of a trader on a mission for fine pearls, who finds one of great value, sells all to attain it, and in his effort, finds himself no longer a merchant, but now the possessor of a magnificent and valuable pearl. He has stepped aside from all to obtain what he most wanted. I opened with an indecisive question as I did because read in this light, what this merchant does is nothing to really marvel about. He believes he is getting the better end of the deal. You and I seek the same kind of transactions everyday. We will all part from our stuff, even in bulk, to get what we truly want. In our very nature it is what we do; we want a great bargain. It ‘is’ piercing though because it insinuates an obvious counter-conclusion. We will not part with what we have for what we deem is a lesser value, or if we cannot see the greater value in the trade. Regrouping for a tad of past interpretation, in this parable, some would infer Jesus speaks only of himself, that he is the merchant on mission willing to part with everything to purchase this pearl, and by this, meaning that those he came to save are a valuable treasure to him, more precious than the glory he forsook to purchase it. I also think it is okay for the parable to prompt an equally important question, “What do I want most?” In a very real sense, this is simply a parable declaring a routine truth. What we see as valuable, we are willing to make sacrifices, even if extreme, to attain. What we don’t want, or do not see the value in, no matter that its value remains constant, will get little of our time and probably none of our necessary resources. This entry was posted in Parables and tagged Christianity, faith, inspiration, parables of Jesus, pearl of great price, Religion and Spirituality, writing in parables. Bookmark the permalink. That’s awesome. It reminds me of Luke 14:25-33 about forsaking everything to follow Jesus, even when it doesn’t seem to add up. When we place our faith in Jesus in spite of the impossible-seeming circumstances, then His supernatural grace overcomes the circumstances. We must find Him worthy, even when it means everything! Praise God! Thanks Carl. Love your enthusiasm for Jesus, His grace, and His being our everything! Well said our friend. Your retelling of this story has handed us a mirror for self examination. What have I given up? Anything?? What have I clung to? Both sacrifice and treasuring reveal what is valuable to me. Not what I proclaim to be valuable…but what I truly hold dear. The balance sheet of the soul. Painful. A good gift you have handed us, but painful. 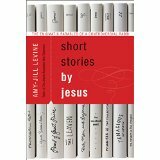 When I chose to venture for a spell into a study-review of the Parables, I opted to do so with a little help from the likes of Boice and Kendall, but happened upon this unique work by A-J Levine, “Short Stories by Jesus.” For anyone who is willing to be challenged by tackling the parables from a very Jewish approach, I would highly recommend this book. Your words, “Not what I proclaim to be valuable…” sting a little, well, a lot. In another work I’m reading, Overrated by Cho, one of his primary focuses is just that, “We tend to do a whole lot of talking with little evidences of a “balanced sheet of the soul.” What’s worse is Cho provides evidence that social media provides a platform for much of this talk, but we seem to be content to just talk, forgetting the talk is useless without the engagement and activity. I pray my eyes are being opened to areas of my life like this, and that God in His grace will let me see of how much more value He is than all my stuff. Blessings.